I have mentioned this before, but I love places that have seasonal changes. You can’t really get sick of a season, or at least not for too long, because it will change before you blink! 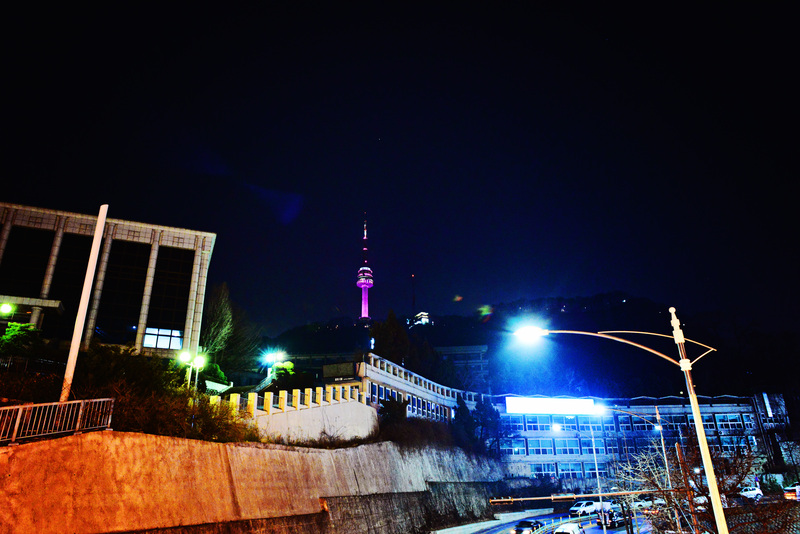 With that being said, we’re at the tail end of winter here in Seoul and ready for spring to start. This past week was a busy one at work! Though we are back on the night schedule, it’s still taking time to adjust to the hours. I am teaching 4th grade and 6th grade this semester. I love my students, but I admit that after a week of teaching, I look forward to the weekends! The weather this weekend warmed up a lot. 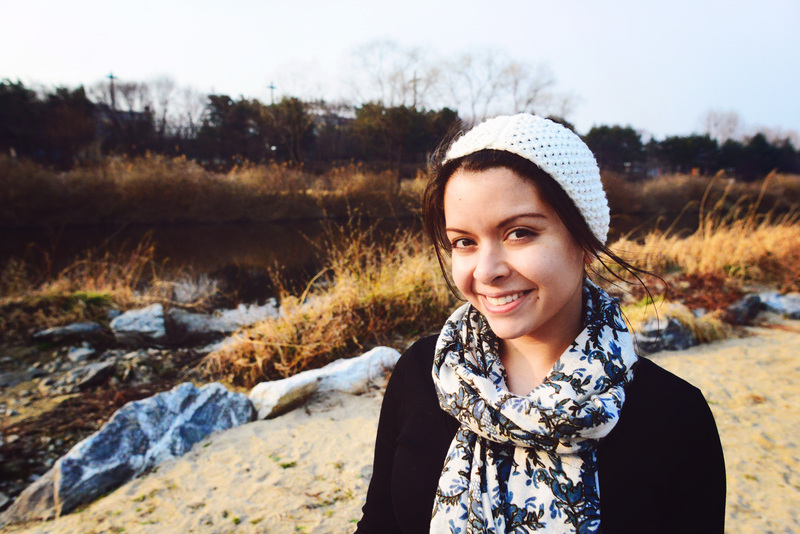 Though it still would have been a bit cold for Florida standards, for Seoul it was beautiful! 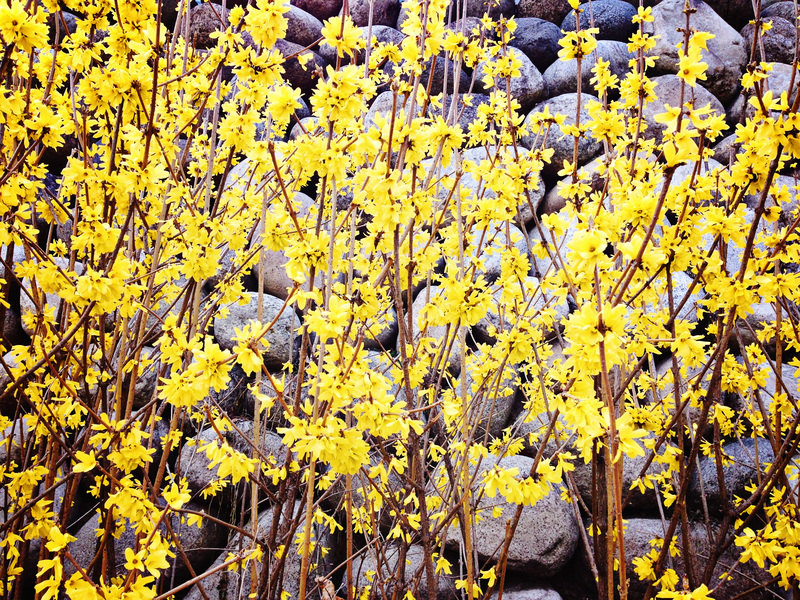 It was an active weekend with many people coming out of their own winter hibernation and wanting to enjoy the warmth. John and I spent the weekend taking the dogs out for long walks, since they have also been stuck inside. 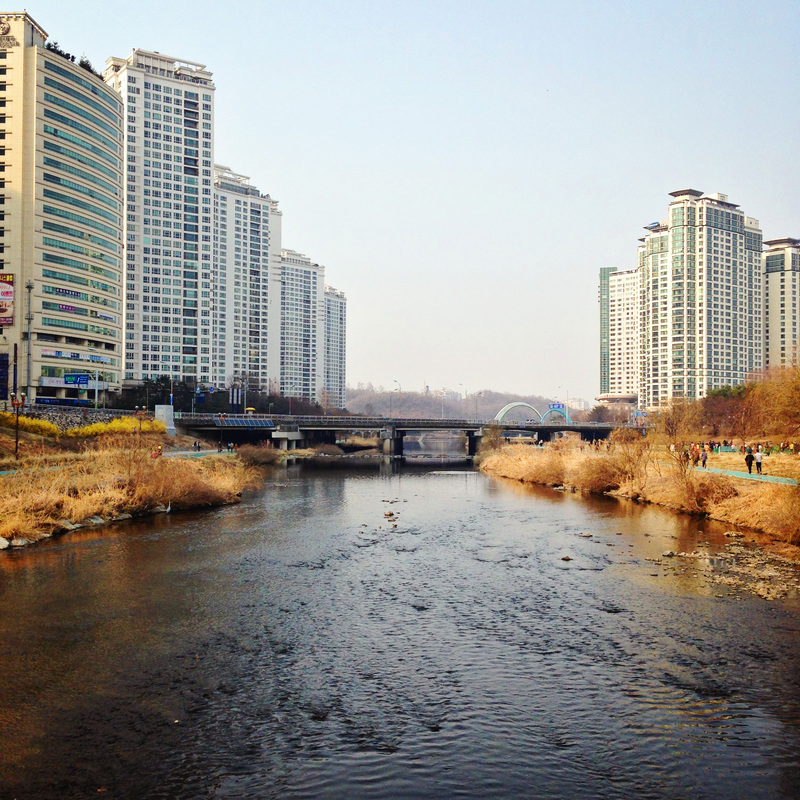 Korea is great at building nice walking areas/trails, and our apartment is next to one that runs right along the river. 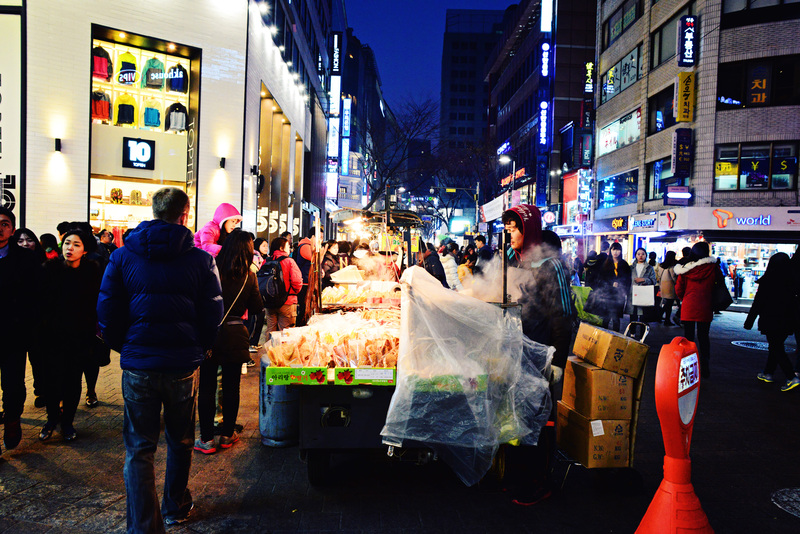 We also explored Seoul a bit and headed over to Myeong-dong, where we saw Namsan Tower. 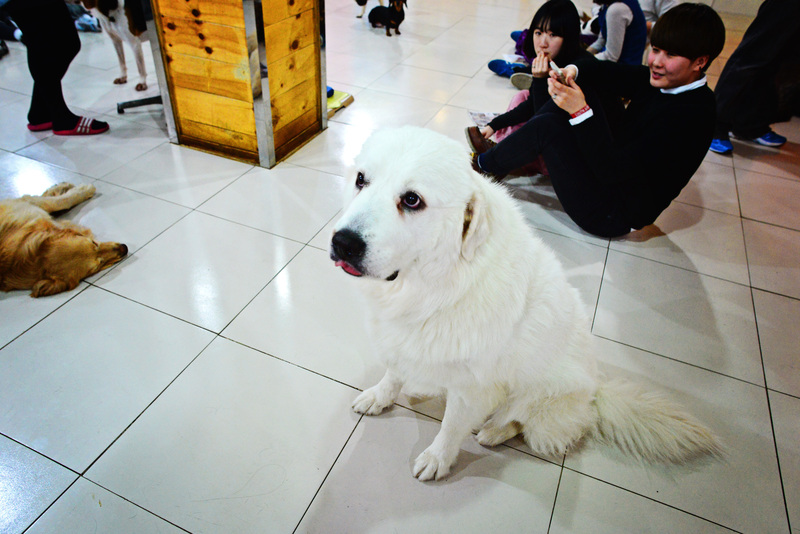 We then went to a dog cafe! 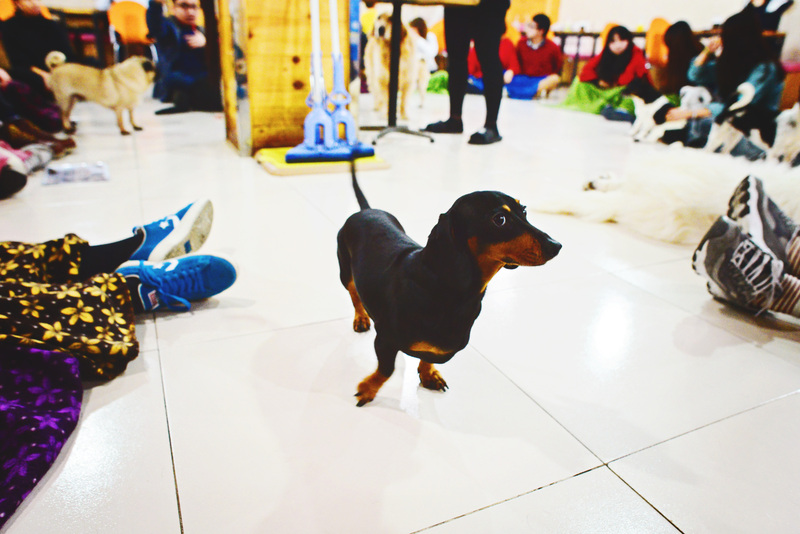 Much like our cat cafe experience, the dog cafe was a place where you can order coffee and play with dogs! 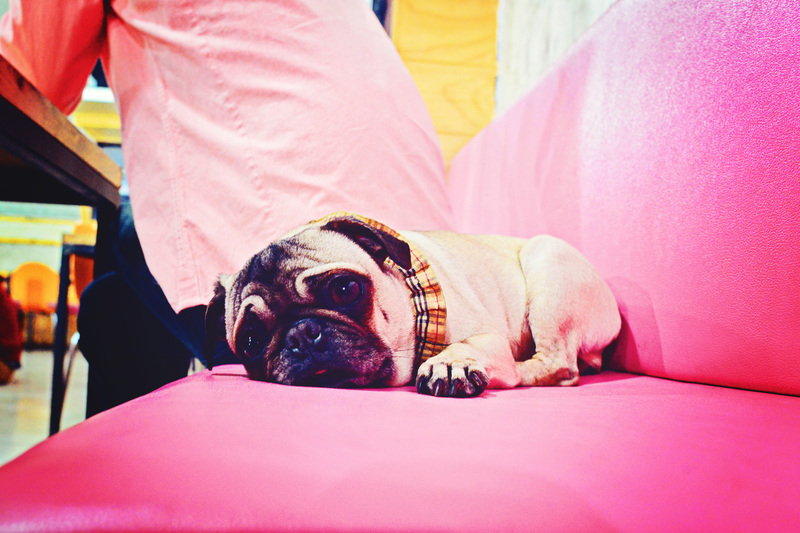 The dogs are much friendlier than cats, but they still have this nature to ignore people since so many people are around them at all times. Finally, we tried out a Dr. Fish cafe, also in Myeong-dong! 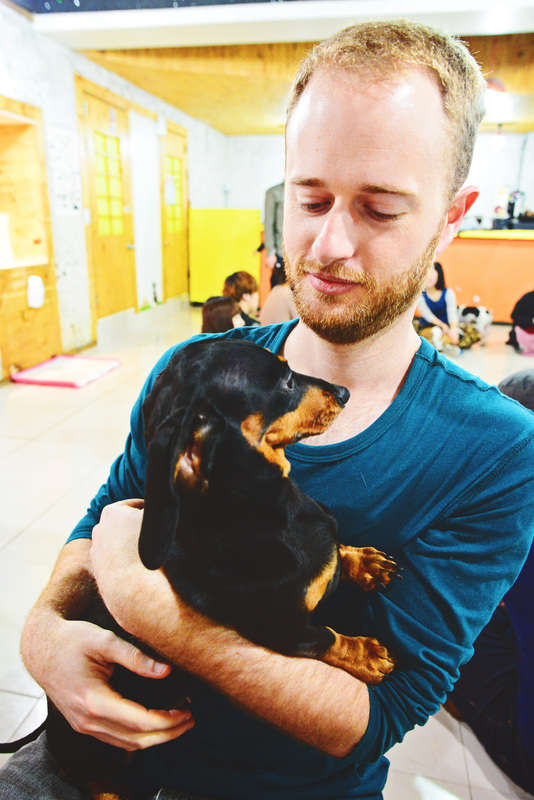 Korea knows how to make cafes amazing! At a Dr. 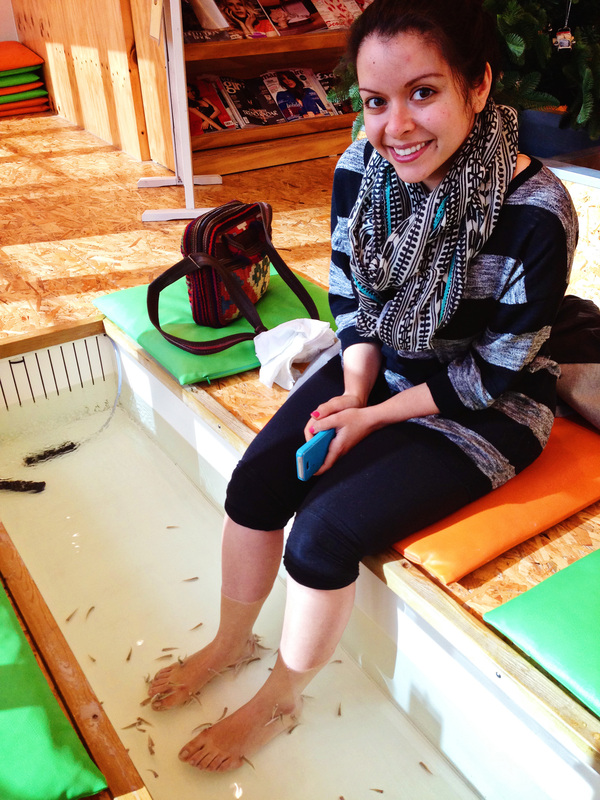 Fish cafe, you order a coffee and then either before or after drinking it, you get a fish pedicure! 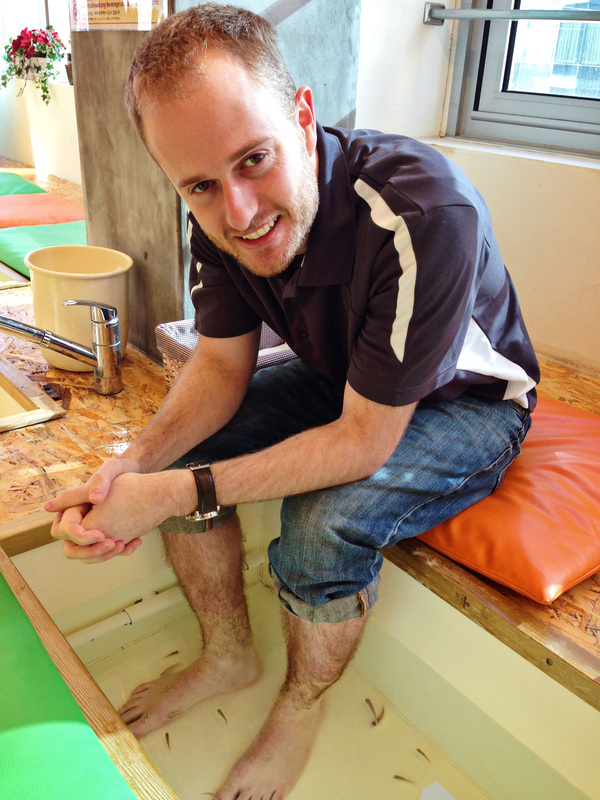 Basically, you stick your feet into a tank with tiny fish, and they will eat the dead skin off. The initial reaction I had, when I first stuck my feet in the water, was laughter! The fish tickle! Afterwards, I was able to get used to the feeling. 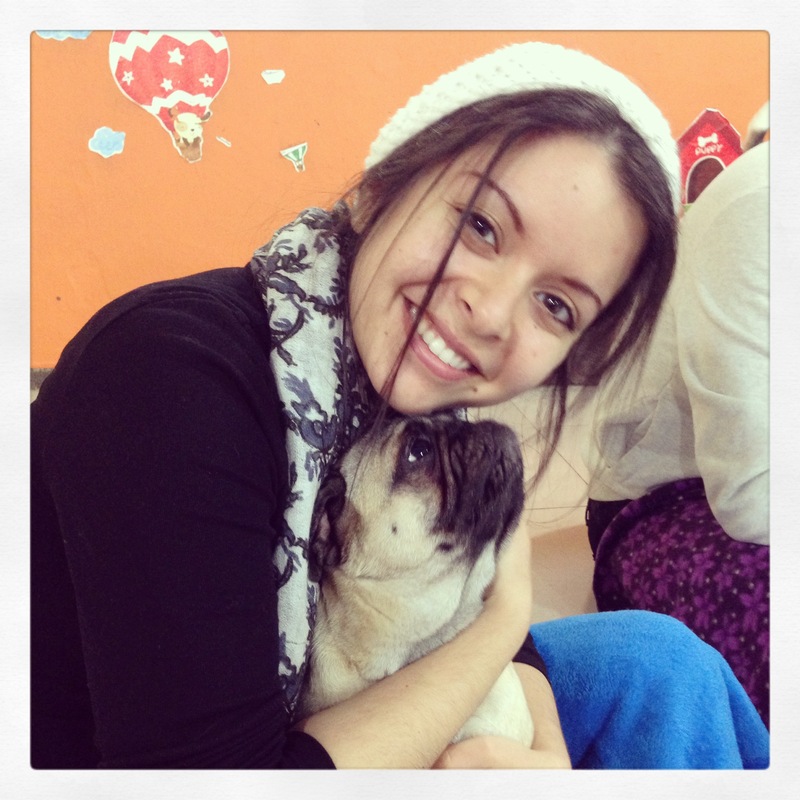 It was something I will definitely do again! All in all, Spring is slowly peaking it’s head out, and we are ready for it! I am happy to get warmer weekends, so we can start exploring again! Enjoy the random pictures below!